How to plan a successful golf tournament. Here are some great ideas to help you make more money at your golf tournament while provide an amazing experience for golfers, sponsors, attendees and volunteers. It’s a charitable event, not a professional tournament. Your goal is for attendees to have fun supporting your cause. Don’t be afraid to be creative. Invite celebrities or pros, have a scramble or best-ball format, maybe even require pros or low handicapped golfers to golf one-handed! Have your volunteers provide drinks and snacks regularly so attendees are well hydrated and happy. The most important part of a successful event is making it easy for supporters to donate to your organization. This starts with Bidr ticketing. Once a supporter purchases a ticket to your event through your custom Bidr event site their payment information is then associated with their cell phone number, allowing them to easily purchase raffle tickets, buy a mulligan, bid on an auction item or donate to your cause — all right from their cell phone! Bidr’s interactive ticketing is completely customizable! You can set up any kind of ticket type – a ticket for a Single Golfer, a Twosome Golf Pair, a Foursome Golf Package, or a VIP Experience. 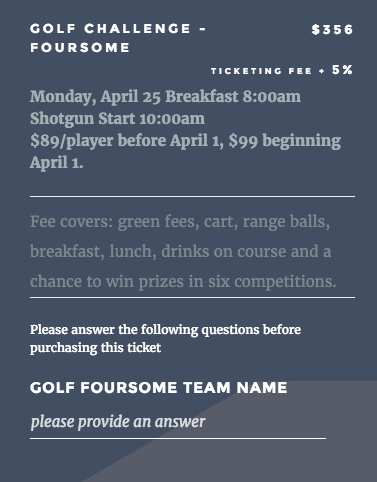 You can even add ticket modifiers to ask golfers to name their team or the other players. If you’re having a breakfast or lunch before the round of golf or drinks or dinner after, you can also sell tickets to those events for golfers and their guests. 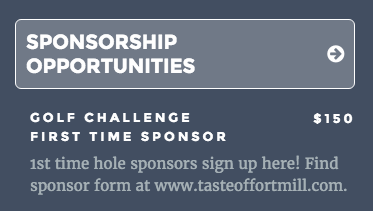 You can even sell sponsorship packages that include tables and tickets for the sponsor. Don’t just go after those “diamond” sponsors. Not every supporter can give at the same level. You can make a lot of money for your cause by having a big range of sponsorships. Consider Hole & Flag, Tee, Putting Green, Driving Range and Beverage Cart sponsors. These smaller sponsorships can be various prices and include signage for the sponsor at each location. If you are having celebrities as part of your event you can auction off the opportunity to play on each star’s team to the highest bidder prior to the event. Or you could sell pre-event raffle tickets and draw names to pair golfers with each celebrity or to set the order of a celebrity draft. 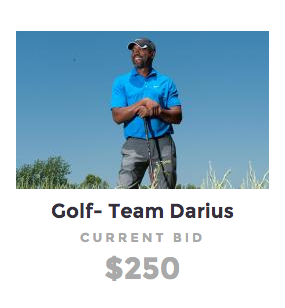 When you use Bidr for your silent auction or raffle you don’t have to wait until the tournament is over to start the bidding. You should open your auction 7-10 days prior to your event to get the excitement going and allow people to start bidding. 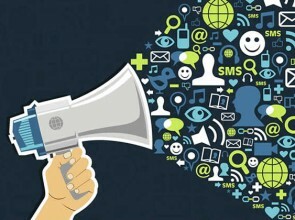 Share your event site and promote it through social media and supporters everywhere can support your cause, bid on items and share in your success! Remember to tailor your auction and raffle items to your audience. Since the attendees are golfers, consider asking supporters to donate a round of golf at their private club or perhaps package a golfing weekend as an auction. Encourage golfers to support the cause by selling mulligans as raffle tickets or tagged donations. The same can be done with “gimme” putts. 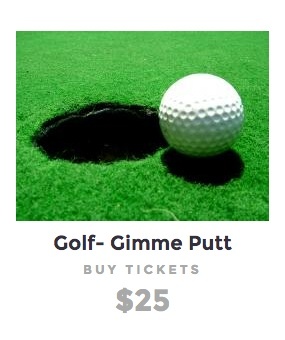 Sell raffle tickets for a hole-in-one. Players can only be in the running if they purchase a ticket. If tickets are $100 each and 50 of your players participate, then the prize is $5,000. If no one gets a hole-in-one you can either keep the money for your cause, or sell raffle tickets for a 50-50 and earn even more! Whether you are raffling a television or for a once-in-a-lifetime experience, you can use the power of social media and your organization’s network to generate interest in raffle items long before your event begins. The winner does not need to be present to win and you can raffle as many items as you would like. You can even use the Bidr system to pick random winners for door prizes. Have a great time at your tournament Bidr will make sure it’s a huge success! ← Text to Vote…Another great fundraising idea!